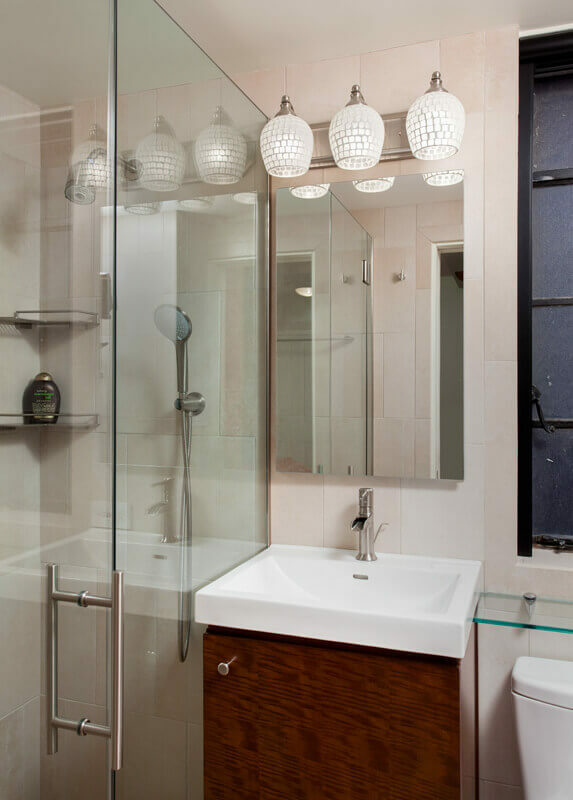 A small 1 bedroom/1 bathroom pied a terre for a client in New York City needed a gut bathroom renovation. We used a curbless shower to create a more open look to open up the space. The mosaic stone floor with directional linear pattern was also used to add some movement and visually widen the room. The vanity in the bathroom is small but packs a punch with an exotic wood finish, and white modern sink. It also offers lots of storage, as well as the frameless medicine cabinet above it.